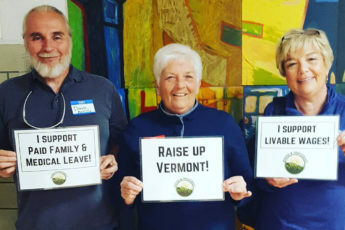 It’s time for legislators to improve the lives of everyday Vermonters by passing legislation that ensures economic equality and sustainable local economies. That was the message this week from Vermont workers, business owners and community leaders. Workers, business owners, and legislators called for raising the minimum wage to a livable wage, enacting paid family and medical leave insurance, protecting the rights of workers on the job, providing college-free tuition, and expanding access to child care and training for family-wage jobs, as well as other policies that force too many Vermonters to live on too little to support themselves or their families. On late Thursday, the Vermont House passed H. 107, creating a paid family and medical leave insurance program, by a sizable margin of 92-52 (with some legislators absent). 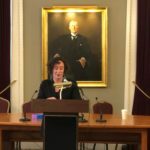 “When folks know that their needs can be met, that their rights are protected, and that there might even be some breathing room, then, and only then can we have thriving communities,” said Rep. Emilie Kornheiser (D-Brattleboro), a first-term lawmaker, in her opening remarks to the more than 50 people gathered in Room 10. With legislative super majorities, Lt. Gov. 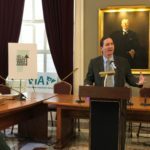 David Zuckerman said lawmakers would be rewarded for taking bold action on the economy and the climate — key takeaways he’s heard during a recent series of Town Halls sponsored by Rights & Democracy Education Fund. 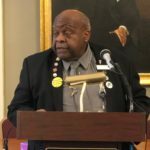 Workers who spoke at the event said it was imperative for legislators to increase the minimum wage and to not only protect workers’ rights to unionize, but remove barriers to making it happen more smoothly and efficiently. Stehel added that an increased minimum wage to a livable wage will benefit older, college-educated working professionals as well as first-time workers and youth. And it will impact primarily women. 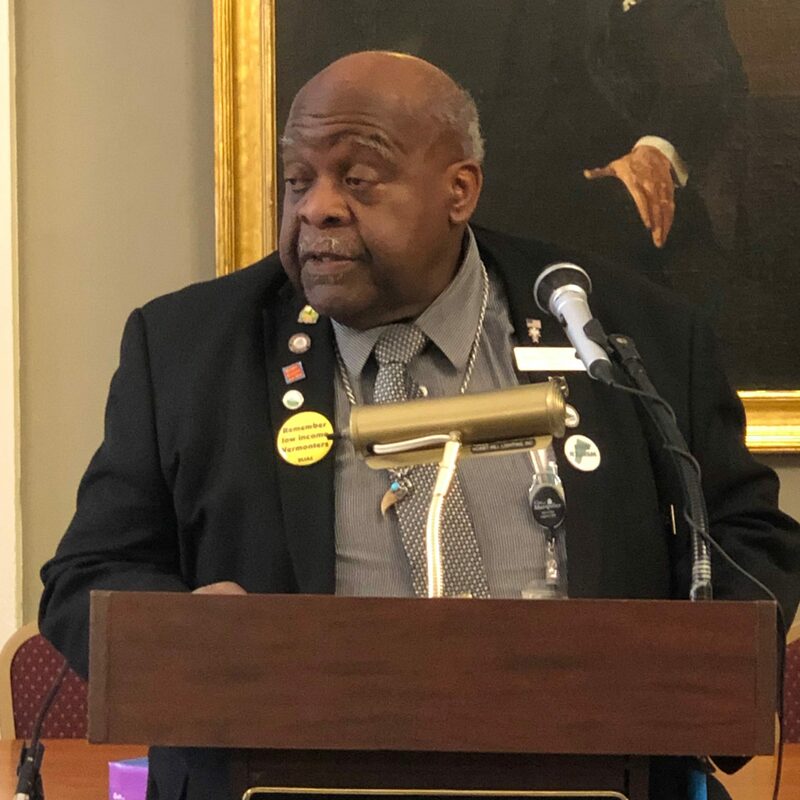 Damion Gilbert, a Burlington City employee and member of AFSCME Local 1343, urges lawmakers to support card check legislation. Damion Gilbert, a Burlington City employee and member of AFSCME Local 1343, said it was great to see so many organizations and allies joining together to demand that all working class Vermonters have access to livable wages, paid family medical leave, and especially a fair and democratic recognition process when working people choose to form a union. 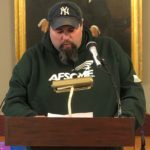 Andy Sebranek, a service worker, urged legislators to be sure to include Vermont’s roughly 12,000 tipped workers in their discussions and to move toward One Fair Wage for all workers in Vermont. 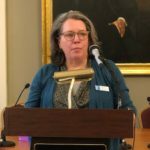 Sebranek added that the median age of tipped workers in Vermont is above 30 and 80 percent are women. Business owners, too, joined to stand in favor of raising the minimum wage and enacting a strong paid family insurance program. Professor Linda Olson of Castleton University, and Vice President of Higher Education, AFT VT, talks about the need for free tuition. Another topic covered was free public college tuition, which could help more Vermont high school graduates attend college and help to fill critical workforce shortages. Currently, 40 percent of graduates do not go on to college. The event’s sponsoring organizations included: the legislative Working Vermonters Caucus, Vermont Raise the Wage Coalition, Vermont Interfaith Action, Vermont AFL-CIO, AFSCME Local 1343, AFT-Vermont, Vermont NEA, Rights & Democracy, Vermont Businesses for Social Responsibility, and Vermont State Employees Association.